We strive to find the finest meat produced using environmentally friendly and humane practices. We do our best to source from local family farmers and producers first before we source from elsewhere. At Basics, we offer both fresh and fresh-frozen meats including beef, bison, poultry, pork, lamb, seafood and venison. 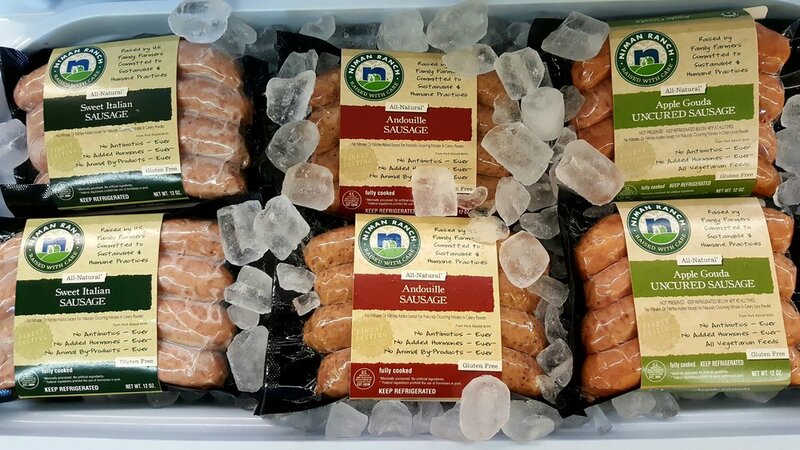 On a given day our fresh meat case is filled with steaks, roasts, hot dogs, gourmet sausages, pork chops, ground beef, whole chickens, chicken breasts and drumsticks. The freezer boasts a selection including ground turkey, beef and venison, and even locally raised pheasant. 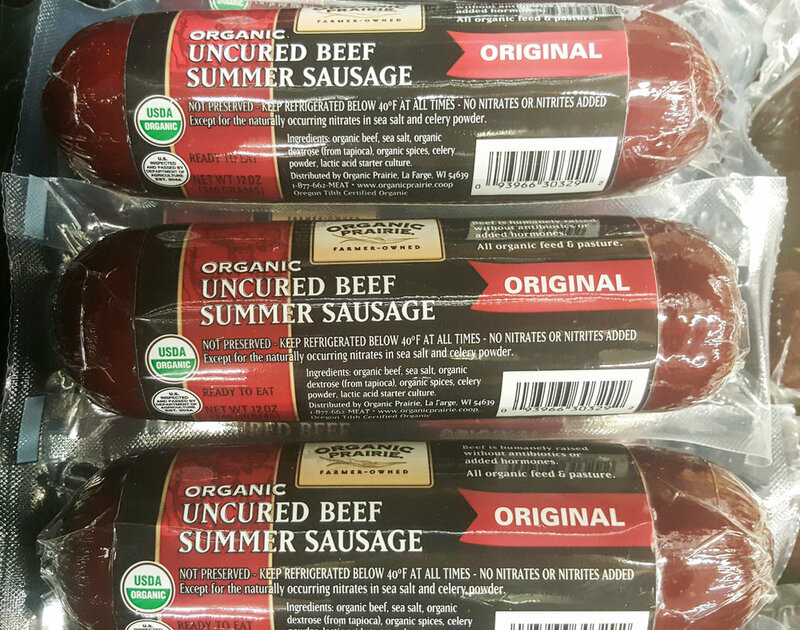 As with every product at Basics, our natural meat has been carefully selected to avoid all artificial colors, flavors and preservatives. None of our meat contains added nitrates or nitrites.